Do you want to make an app that will shoot to the top of the Apple and Google Play stores? 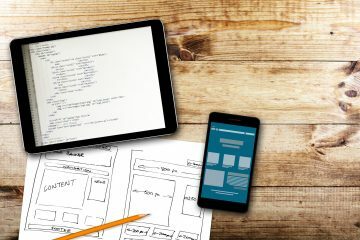 Read here for 5 tips for coming up with mobile app ideas! Mobile apps have fundamentally changed the way most of us use our phones. Now our phones are so much more than simple communication devices. They’re for streaming entertainment, reading, playing games, and even learning. Perhaps that’s why the app market is such a popular and profitable field. 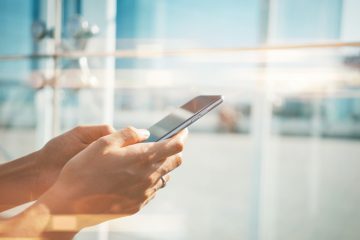 People are spending more and more of their hard-earned time and money on mobile apps, so there’s never been a better time to get into the field. Do you have passion but you’re not sure where to start? 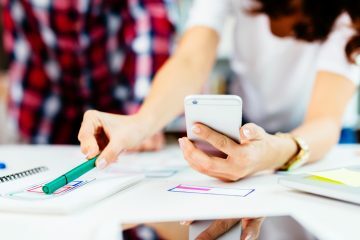 Here are five great ways to come up with mobile app ideas that are sure to take off. Before you create the next great app, you’ll want to do some serious soul-searching. Apps, after all, need to offer the audience something for their time and money. Make sure that you’re not just filling the store with bloatware. The truly revolutionary ideas are those that make life easier for those around them. How can your app solve a problem in today’s society? Before you start thinking big, temper your expectations a bit. Your app doesn’t need to change the world, per say. But it should solve a common problem and offer the end user tangible value. When you release your app, you’re going to face some pretty tough competition. The app stores are packed full of apps, with new uploads every day. Not convinced? It’s estimated that the Apple’s App store has around 2.2 million apps, and the Google Play store has an astounding 2.8 million. And that figure is only going to increase over time. Think of ways to set yourself apart. Avoid cloning popular apps and dare to be different than the competition. Originality may be tough in today’s market, but that doesn’t mean it isn’t important. Coming up with innovative, original mobile app ideas is tough. You can make things easier on yourself by thinking about your own habits. What are the apps you use the most? What is it about an app that keeps you coming back? Your own phone or tablet may actually be your biggest source of inspiration. Coming up with mobile app ideas (not to mention creating apps) can be a long, cumbersome process. Have some patience with yourself. If the ideas aren’t flowing or your app doesn’t seem to be working, that’s okay. Patience and determination can take you far. Don’t give up, you’re smarter and more creative than you may think. Finally, you’ll need a strong marketing plan in place. Even if your app is in the initial stages of development, thinking ahead to the marketing phase will make your job a lot easier. The first two solutions on this list are great jumping off points to get you started. Market your app based on what makes it different and how it can solve the user’s problem. Get on forums and give out test builds. Encourage user reviews and participate in social media. The world deserves to know about your next great app. Have Mobile App Ideas You’d Like to Implement? Even the biggest app creators started from somewhere, and we hope these bits of advice helped. If you have an idea for a great app, be sure to get in touch. We can work with you to bring your unique vision to life. So what are you waiting for? The world is ready for your fantastic mobile app. All that’s left is for you to let us help.